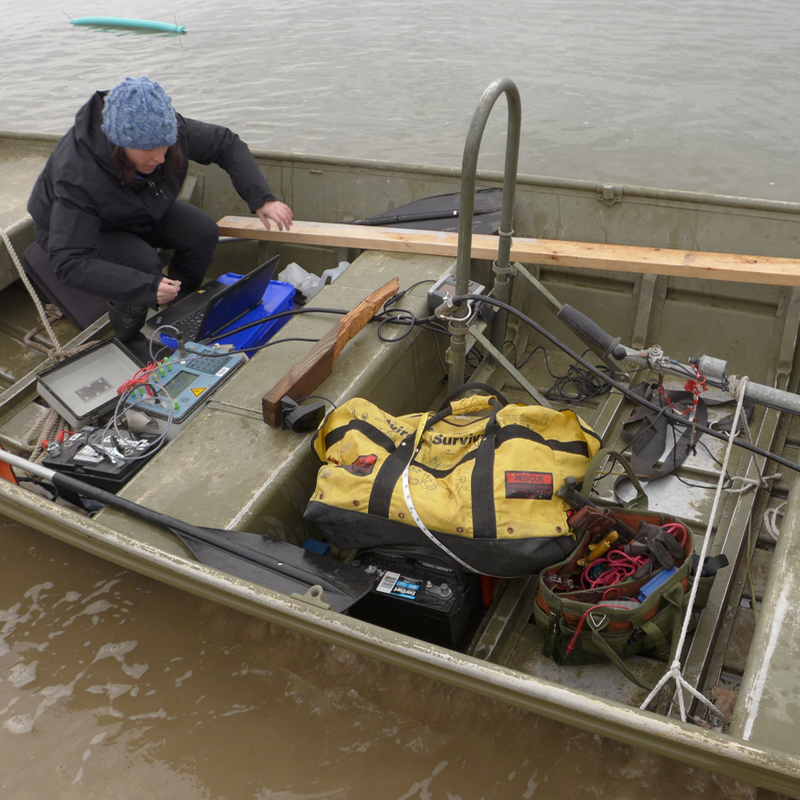 Using geophysical technologies to delineate and monitor saltwater intrusion within New Jersey coastal aquifers. 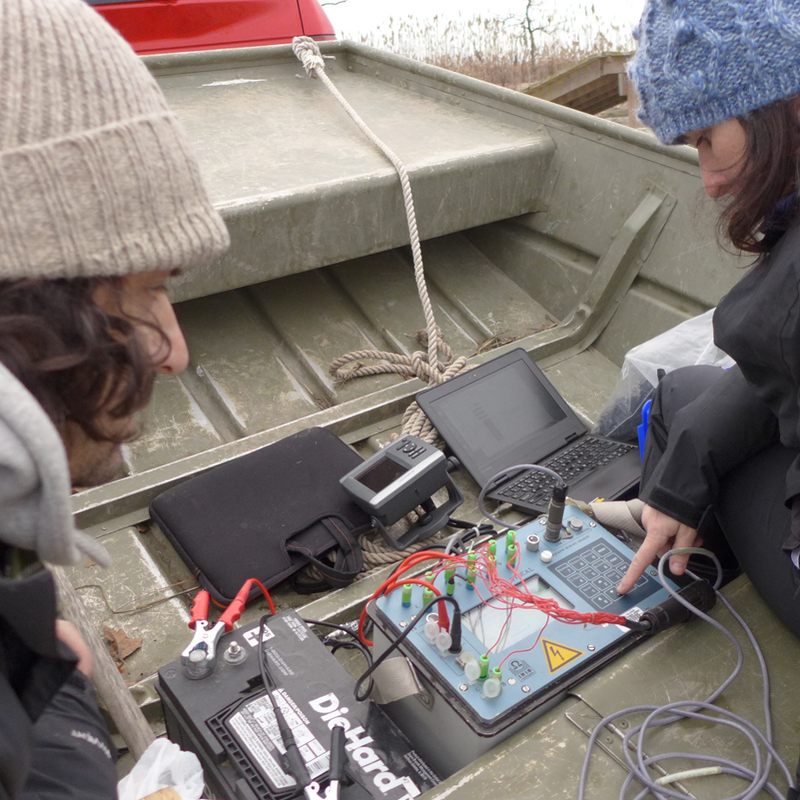 A study, funded through a NJWRRI (New Jersey Water Resources Research Institute) research grant, used two geophysical methods, self-potential (SP) and electrical resistivity (ER) imaging to look at saltwater intrusion in Cape May County, NJ. 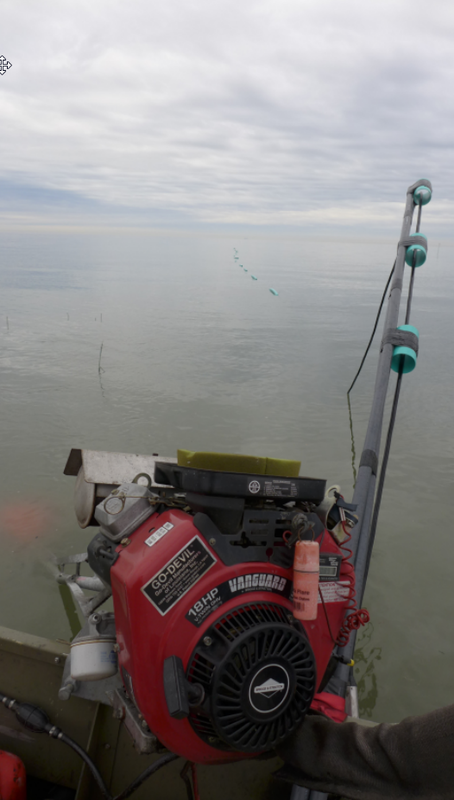 SP measurements were collected in a USGS monitoring well to capture changes in electrical conductivity (as a proxy for salinity) ahead of the occurrence of a salt water intrusion event, marked by increases in conductivity. 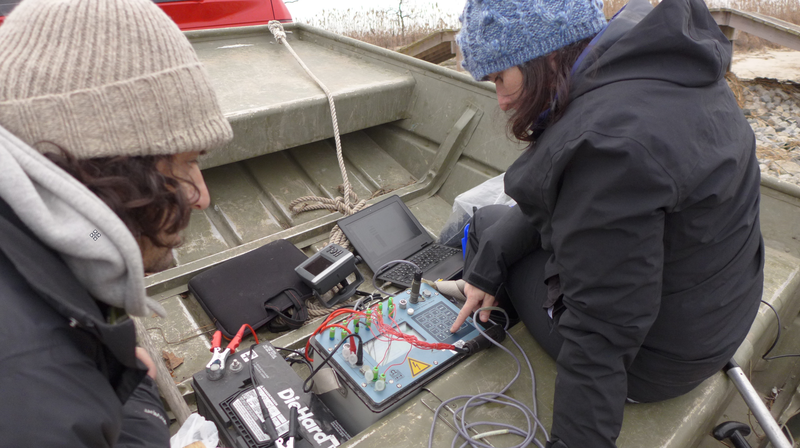 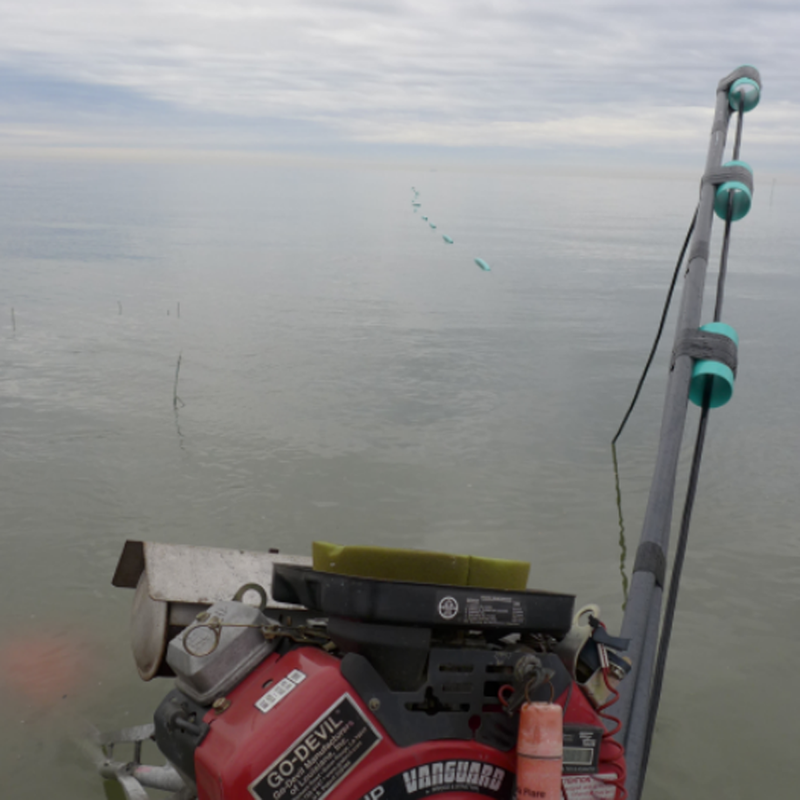 MERI and Rutgers-Newark associates teamed up on December 22, 2017 to conduct marine ER continuous vertical electrical sounding (CVES) surveys within the Delaware Bay along two creeks. 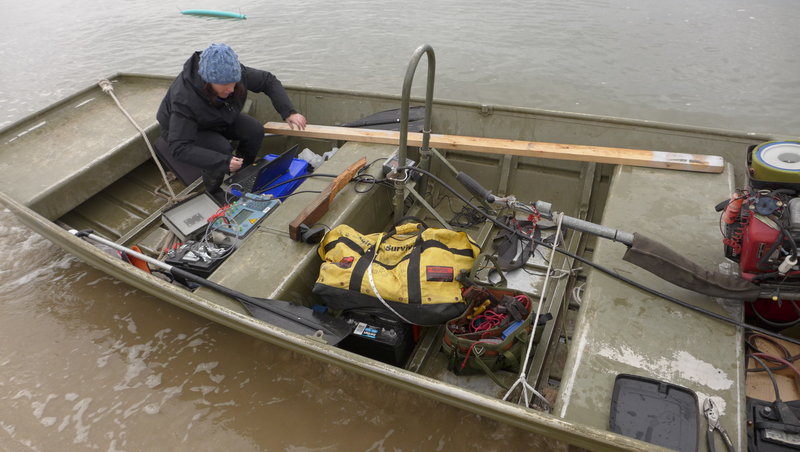 These electrical measurements will be analyzed to determine the transition from freshwater to saltwater within the sediments adjacent to the Bay.